Observation - Paupers Wood 2nd Spot - UK and Ireland. 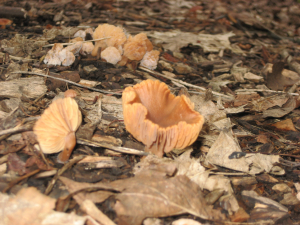 Description: Unidentified fungus on woodland floor on a path. Is it cantharellales? Unidentified fungus on woodland floor on a path. Is it cantharellales?